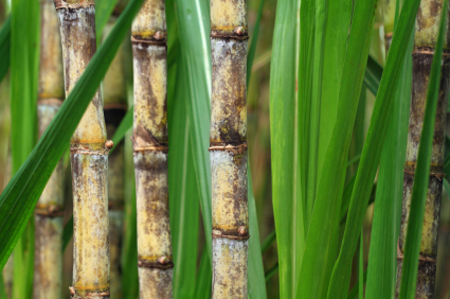 (Business Recorder) – Brazilian mills in the main sugarcane belt are expected to produce 7 percent more sugar in the new season that starts in April due to slightly better prices and the expectation for an increasing global sugar supply deficit, a Reuters poll showed on Friday. According to estimates from eight analysts and sugar groups, Brazil’s center-south region should produce 28.4 million tonnes of sugar in the 2019/20 (April-March) season versus a 10-year low of 26.5 million tonnes in 2018/19, when millers sharply favored ethanol production to escape low global sugar prices. Despite the forecast increase in sugar production, the expected output is still way below the record seen in 2017/18 of 36 million tonnes. Mills are expected to heavily favor ethanol production, taking advantage of strong demand for the biofuel in Brazil and much better returns when compared to raw sugar. “Ethanol is still more advantageous, but that price difference should be smaller during the new crop than in the previous season,” said Fabio Meneghin, a sugar and ethanol analyst at Agroconsult. “Our price outlook shows that sugar has an upward potential as the season progresses, while ethanol price, which is good currently, should fall by mid-2019 as always happens,” said Júlio Maria Borges, a partner at consultancy JOB Economia. According to Brazil’s cane industry group Unica, center-south mills allocated only 35 percent of the cane in the season that is about to end to sugar production, an all-time low. Analysts see the sugar mix increasing but not much. Most estimates are still below 40 percent. Projections regarding total availability of cane diverge widely, with 20 million tonnes between the lowest and the highest estimate. That happens mainly due to the difficulty of assessing if drier-than-normal weather in December and January would be offset by ample rains seen in March. That is leading mills to wait longer to start crushing in the hope that late moisture would help cane grow more. João Paulo Botelho, sugar and ethanol analyst for INTL FCStone in Brazil, said ageing cane fields and a smaller growing area should keep cane crush below the 570 million tonnes expected for the 2018/19 crop.